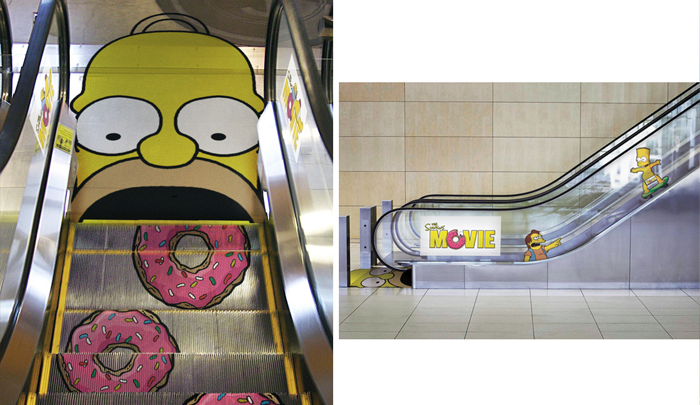 When The Simpsons Movie needed promoting, their creative team got to work thinking of different ways to engage people. Knowing that their target market congregated in shopping malls, they decided to get clever with their print and created a bit of theatre for people walking up the escalator. Now who wouldn’t smile at that?